Lenovo 45W USB Type C Connection For Type C Enabled Notebooks and Tablets By Lenovo. Lenovo Retail Packaged And Sealed With Manufacturers Authenticity Security Lenovo Seal / Lenovo Retail Part Number is 4X20M26252. 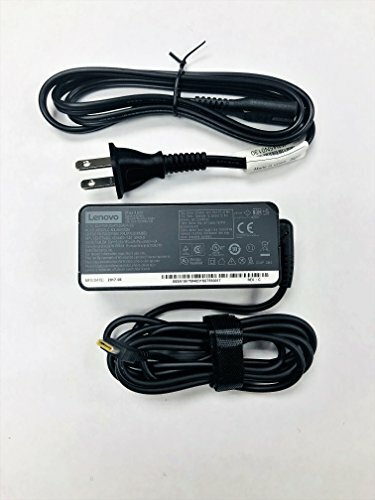 Lenovo ( 4X20M26258 ) 45W USB Type C AC Adapter With 2 Pin / Prong Power Cord Included For USA, Canada and Mexico. This Item Is Compatible With The Following Lenovo Thinkpad Models;A275 , A475 , E480 , E580 , L380 , L480 , L580 , P51s( Not the P51), P52s (Not the P52), T470 , T470s , T480 , T480s , T570 , T580 , TP25. Compatibility Continued ; Thinkpad 11e - 5th Generation, Thinkpad 13 - 2nd Generation, Yoga 370 - 2nd Generation, X1 Carbon - 5th and 6th Generation, X1 Yoga - 3rd Generation, X270 , X280 , Yoga X380, X1 Tablet - 3rd Generation. Lenovo Model #'s are Suffix And Genration Specfic.